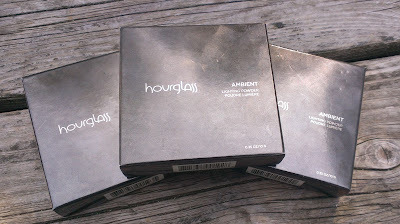 I knew that I would purchase one of the Hourglass Ambient Lighting Powders as soon as I read about them. A powder designed to capture, diffuse, and soften the light that surrounds your skin? Yeah, sign me right up. We all know that lighting can affect the way our skin looks. I can't tell you how many times I've nearly gasped when I caught a glimpse of myself in the harsh florescent lights of a public bathroom -- why do they always use the most unflattering lights in those things anyway? -- or how many times I've become embarrassingly enamored with my own reflection when I caught a glimpse of myself in oh-so-forgiving candlelight. Being able to replicate the look of flattering light with a convenient pressed powder that you can take with you everywhere seems a little too good to be true, right? Luckily, it is true so I'm thinking the folks at Hourglass must be geniuses. The powders come in compacts that feature the same bronze-y mirrored finish that the rest of Hourglass' products do. It's lovely and stylish for sure, but they do show fingerprints like nobody's business. I'm always obsessively wiping them off after each use with the microfiber rag I use to clean my touchscreen products. The inside features a fairly decent sized mirror that's perfect if you plan to carry the powder in your bag for touch-ups throughout the day. 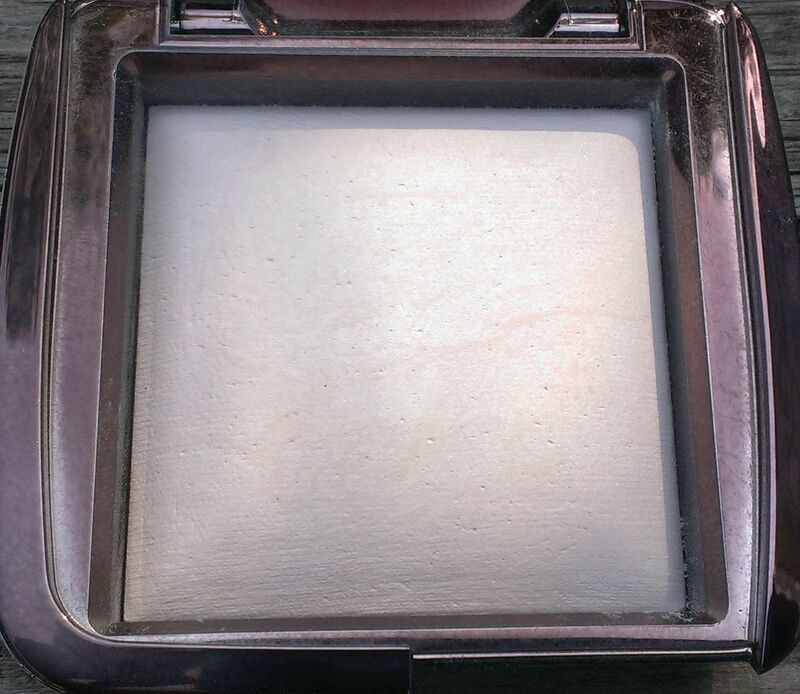 The compact features 10 grams of product, which seems slightly above average for most pressed powder products. As for the powder itself, I was immediately struck by how finely milled it is. 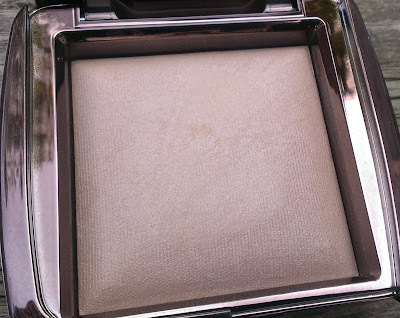 I don't think that I've ever tried a pressed powder that feels as fine and smooth as these Ambient Lighting Powders. Even when you swipe your finger across the surface for a pretty heavy swatch, the powder melds with the skin in a kind of amazing way. Applied to the face with a powder brush, the powder feels pretty much weightless -- and there's no powdery or cakey look on the skin at all. 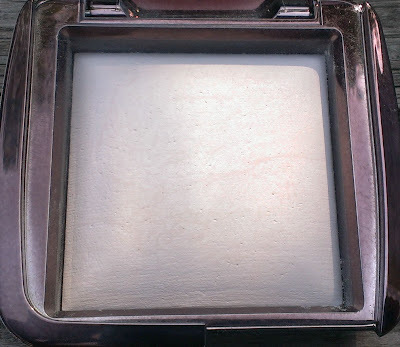 Originally, I planned to purchase the Ambient Lighting Powder in Ethereal Light and perhaps one other shade on my trip to Vegas back in March. When I visited the Sephora there, though, Ethereal was sold out so instead I chose Dim Light and Luminous Light. Last month, when Sephora had their V.I.B. sale, I finally picked up Ethereal Light. 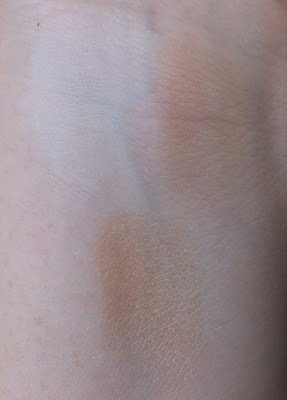 Hourglass claims that all of the seven shades are universally flattering, and while in Sephora in Vegas, I did swatch all of the powders except Ethereal Light to test the theory -- I think that it's pretty much true. Any of them would have worked, with the possible exception of Radiant Light, which seemed slightly too dark for my super fair skin. Hourglass describes Ethereal Light as "A sheer, cool tone that eliminates shine and mimics a moonlit glow—even in broad daylight." Dim Light is described as "A neutral soft beige that provides a perfect balance of warm and cool tones to blur imperfections." Luminous Light is described as "A champagne pearl that creates a soft, incandescent candlelit glow—day or night." Keep in mind that the below swatches make the powders look more opaque/darker than the actually are because they're fairly concentrated. Applied to the face with a fluffy powder brush, the effect is natural and subtle. 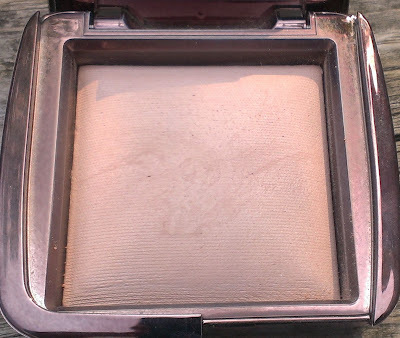 The Ethereal Light is probably my favorite of the three, and I use it pretty much daily over my foundation. I don't know how to describe the effect it gives other than to say it softens the look of my skin and gives it just a hint of a glow -- not with any shimmer or glitter, though. While it's a sheer powder, I do think that it could wind up looking chalky on darker skintones so it's a good idea to check it out in person before buying. Appropriately, the Luminous Light has the most glow-y or luminous look of the three shades. It isn't really shimmery or glittery, though, so I can use it all over my face for a healthy glow without looking like a disco ball. It certainly delivers the candlelit glow that Hourglass promises, though. If you have darker skin, it might be able to function as a highlighter, though on fair to medium skin, the effect is a little too subtle for that. You can definitely wear this during the day, but I seem to reach for it mostly for evenings out. You can purchase the Ambient Lighting Powders at Sephora or Hourglass' website for $45. I love these powders and highly recommend them. They are pretty pricey, though, so I'd probably suggest just getting one or two. Find a shade (or two) that works best on your skin for everyday -- I don't think this is the kind of product that you really need to get every shade of. 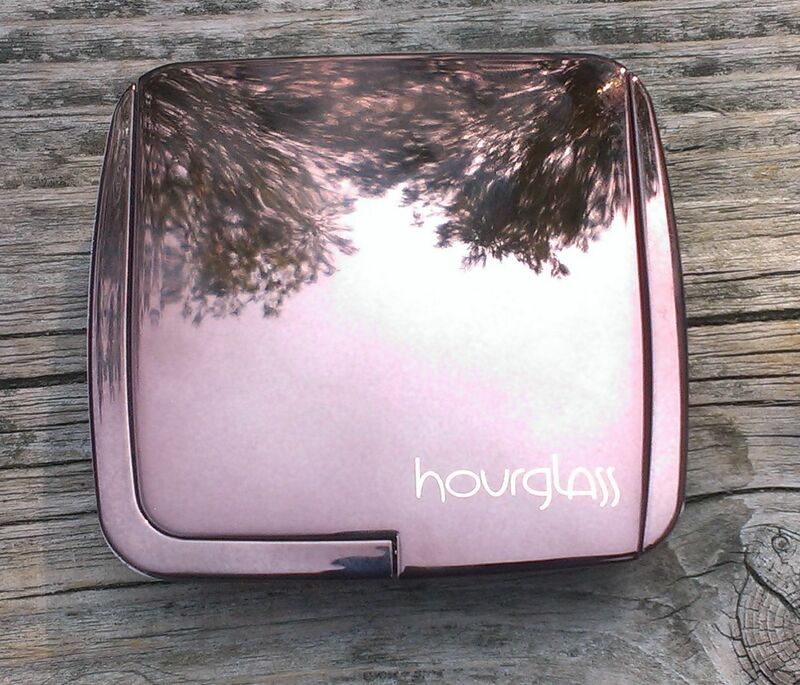 Have you tried the Hourglass Ambient Lighting Powders? Which one is your favorite? I love that the powders are super fine. I feel like highlighters need to be super fine, so the shimmer actually shows up on the skin better .